If you find yourself confused by the latest diet trends and information, you are not alone. According to one report, three out of every four people claim that today’s ever-changing dietary guidelines make it hard to eat healthy. 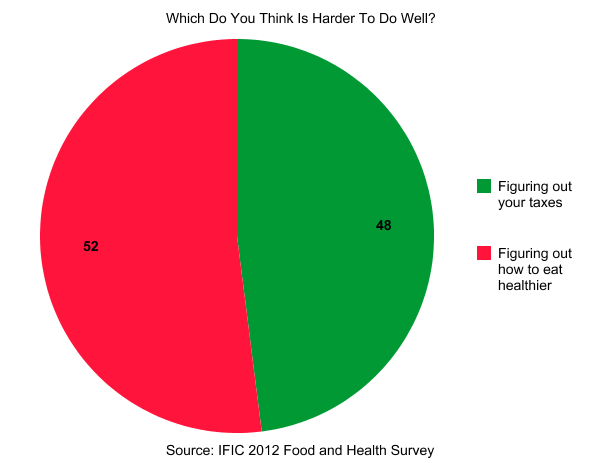 More than half of people surveyed find it easier to figure out their income taxes than to know how to eat right. This could explain why a majority of Americans are trying to lose weight, yet two-thirds are overweight or obese. One problem is that being “on a diet” is a temporary effort that assumes an endpoint. Many popular diets are destined to fail. When you see a book or advertisement claiming you can be healthy by doing just one thing for weeks on end, stop and think about the ramifications. Attention then shifted to low-carb diets. This led people to consume greater amounts of animal products for protein, ignoring the detrimental impact animal fats have on our health. And, while vegetarian diets have been popular for decades, they are less healthy if animal products are replaced by refined carbs and sweet foods. Even basic calorie counting is insufficient. As one expert put it, “Contrary to nutritional dogma, calories are not created equal.” It turns out, the belief that you can eat anything in moderation is dead wrong.